"Yes, we are developing something to look at." It feels like you can't move without falling over yet another piece of Star Wars-related news this week, and today is no different. In a recent interview with MTV, Lucasfilm's President, Kathleen Kennedy, spoke about the likelihood of Star Wars: Knights of the Old Republic getting some sort of big screen adaptation. The interview, which took place at this year's Star Wars Celebration, saw MTV's Josh Horowitz, broach the subject with Kennedy. "You know, we talk about that all the time," Kennedy said. "Yes, we are developing something to look at. Right now, I have no idea where things might fall, but we have to be careful that there is a cadence to Star Wars that doesn't start to feel like too much." 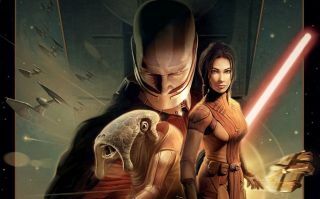 So no, we really don't know what Lucasfilm is planning to do—if anything—with Star Wars: Knights of the Old Republic but maybe it's waiting for the dust to settle following the slew of recent news before hitting us with the next Star Wars announcement.